Government need to communicate on an ongoing basis to all sectors of the community, governing bodies, ratepayers etc. PocketMedia® provides the option to communicate this vital information in a convenient compact format which is highly retainable and 94% more carbon efficient than a traditional brochure. The Lesotho’s Health Education Department, responsible for advocacy for health, communication for health and social support as well as social marketing for health, has selected a Z-CARD® for communicating information about Tuberculosis (TB) and HIV and AIDS to communities across the country. According to the Chief Health Educator Khabiso Byron Ntoampe, the Z-CARD®s were distributed to Lesotho’s general public via various means including parliamentarians, senators, government ministries, non-governmental organisations, district administrators, TB and HIV and AIDS stakeholders, health facilities, churches and mosques, hotels and private businesses. “The feedback we keep on receiving is ‘we need more of that material’,” says Ntoampe. 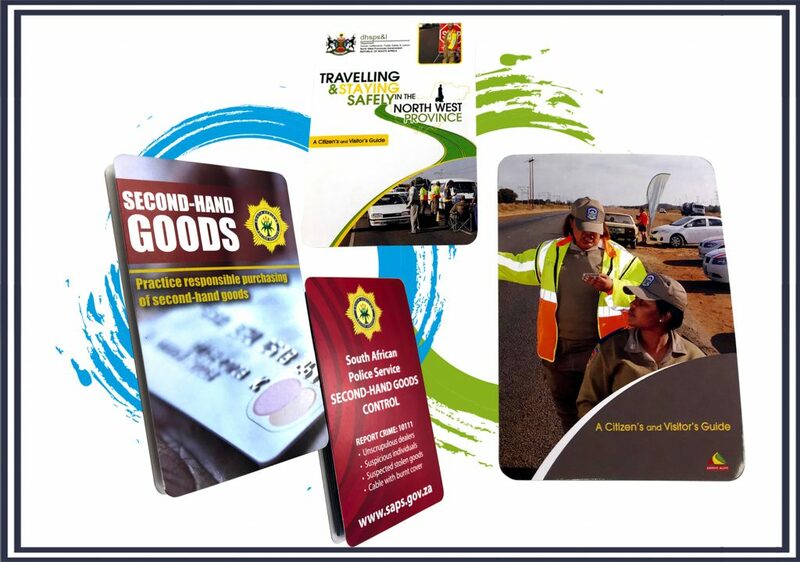 Some of our clients that have produced government related products include SAPS, Dept of Energy, City of Johannesburg, AARTO, Gauteng Provincial Government, Ekurhuleni Metropolitan Municipality, Limpopo Provincial Government, City of Cape Town, various SETA’s, Dept of Transport & Public Works, Ethekwini Municipality, RAF, Dept of Social Development and Rea Vaya.